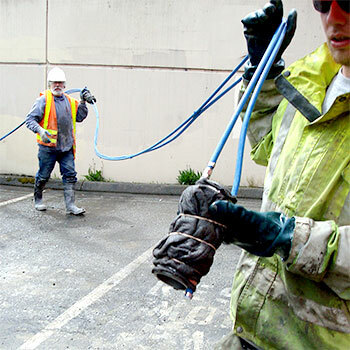 The WMPBX is a flush-mounted, wireless, multi-point borehole extensometer designed to monitor settlements and deformations in busy locations that are difficult to access, such as city streets, highways, airport taxiways, and port facilities. An MPBX includes anchors, rods, a reference head, and sensors. 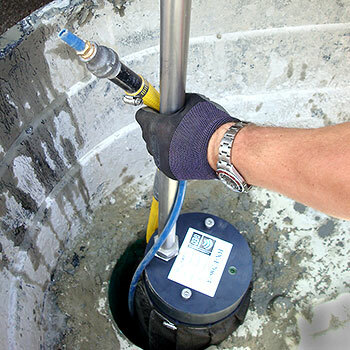 Anchors are joined to rods and installed at specified depths in the borehole. Rods run upwards from the anchors to the reference head, which is installed at the surface. Sensors inside the reference head monitor the rods, which follow the upward or downward movement of the anchors. and long-life battery pack. The data logger obtains readings from the sensors at specified intervals, and the radio modem transmits the readings to a nearby base station or cell tower. Because the radio modem is below grade, it requires a special antenna. 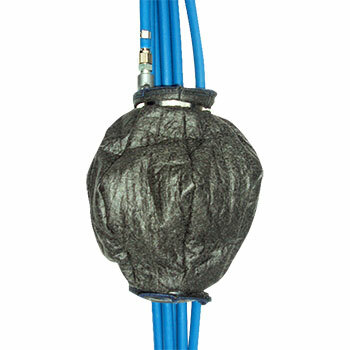 GEO designed its flush-mount, traffic-rated Lid-Link® antenna for this application. Monitored Points: The WMPBX can monitor a maximum of 5 points. Each point must have its own anchor, rod assembly, and sensor. Anchors: A wide variety of anchors is available, including simple groutable anchors, packer anchors, hydraulic prong anchors, and snap ring anchors. Sensors: Both vibrating wire and Linear Potentiometers are available, with measurement ranges from 2 to 6 inches.